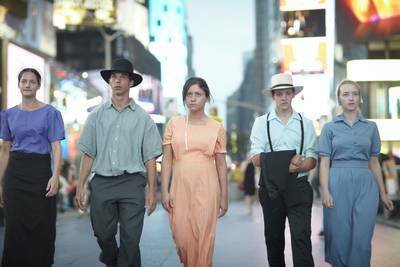 It's no surprise at this point that Breaking Amish made a lot of headlines when it aired last fall. It received a lot of viewers for TLC, a lot of criticism from other formerly-Amish folks, and a lot of heated discussion because of how several truths came out during the run of the show, contradicting what was being shown. After some personal research, I agree that TLC really contrived a lot of information to make the show more interesting. (and I think one of the best sources that has rounded up facts is here.) I suggested TLC not continue down the path with this series (even if the series averaged over 3M viewers per episode), and to stop focusing on religion in general. So, you can imagine my surprise when news broke this morning that TLC will air a second season in just three months. That's right... in May, eight episodes will air, featuring the five characters (because as much as this is a reality show, they're still characters!) in Florida, trying to find their way in the Sunshine State. It seems that they will again live together, attempt to start careers, and struggle with culture clash. Will you watch?